A relaxing haven in Birmingham's Jewellery Quarter, Hotel du Vin boasts many historical features, spa, gym, popular Pub Du Vin, Bistro and stunning bedrooms. 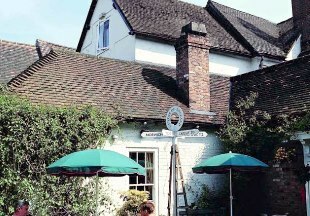 The Cocked Hat by Good Night Inns is situated in Binley Woods, just off the A46 and only 4 miles from the centre of Coventry. This historic, Grade II listed hotel offers great value pub food and comfortable en-suite rooms. There are pretty gardens to enjoy in summer. Welcome to the 17th century White Lion Inn, perfectly situated for business and leisure guests alike, just 500m from Hampton in Arden Railway Station, 5 minutes drive from the M42 and 10 minutes drive from Birmingham NEC. 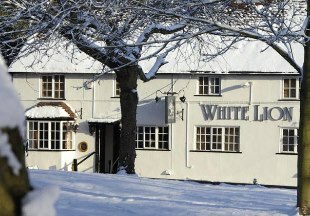 The White Lion offers period features, open fires and local real ales, as well as a restaurant, lounge bar and cosy en-suite bedrooms. The Bulls Head is a 17th century, former coaching inn, serving great pub food and drink all day. Some of the bedrooms at this Innkeeper's Lodge boast old oak beams in keeping with the age of the inn. Meriden claims to be at 'the centre of England', and is just 10 minutes drive from the NEC, 15 minutes from Coventry and 20 minutes from Birmingham. Situated just off Junction 5 of the M42 motorway, this stylish former coaching inn is ideally located for the NEC and Birmingham Airport. 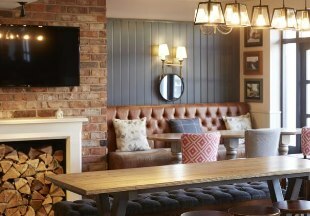 The inn boasts a brasserie and an open-plan bar area for drinks and more informal dining. 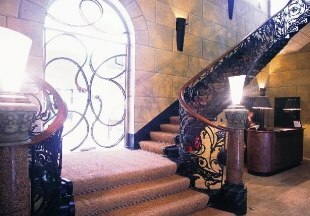 Welcome to our selection of hotels and inns in the West Midlands and Birmingham. This is a largely urban county, with towns and cities like Coventry, Dudley and Wolverhampton. However the West Midlands also boasts some lovely countryside and pretty market towns such as Hampton-in-Arden. There are some outstanding historical sites here too, such as the reconstructed Lunt Roman Fort near Coventry and the Birmingham Back to Backs. Coventry boasts two cathedrals; the burnt-out shell of the old cathedral, destroyed by bombing in World War Two, and Sir Basil Spence's new cathedral. Whether you are here on business, breaking a journey or visiting friends and family, browse our handpicked selection of hotels and inns in the West Midlands, and find a great place to stay! "A visit to Birmingham doesn't mean you have to stay in a featureless, modern city hotel. 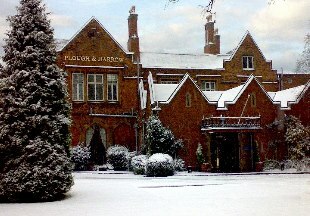 Check out the historic Plough and Harrow Hotel on the Hagley Road in Edgbaston. It's a real surprise to find a country inn in the centre of the city! This is a great place for relaxing with a drink or a meal in the gardens in summer." The West Midlands is bordered by Warwickshire, Worcestershire and Staffordshire. 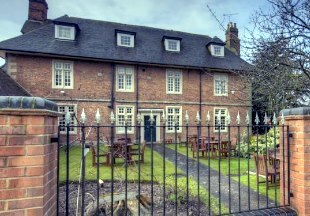 If you want to widen your search, why not browse through our selection of hotels and inns in Warwickshire, Worcestershire and hotels in Staffordshire.